Are you using the internal ip address in your phone? Is your phone connected to your wifi network? It's the one you said you found it a couple posts back. What happens when you browse to http://ipaddress:2000 in your phone? rimai wrote: Are you using the internal ip address in your phone? Nope my phone cant get on to wifi network since i made changes to modem, will struggle some other time again. Added my iPhone as a MAC device after joining the wifi, disabling MAC, then enabling it again. Yeap. That's what I told you about being outside your wifi network. Your router will treat you as unsafe. 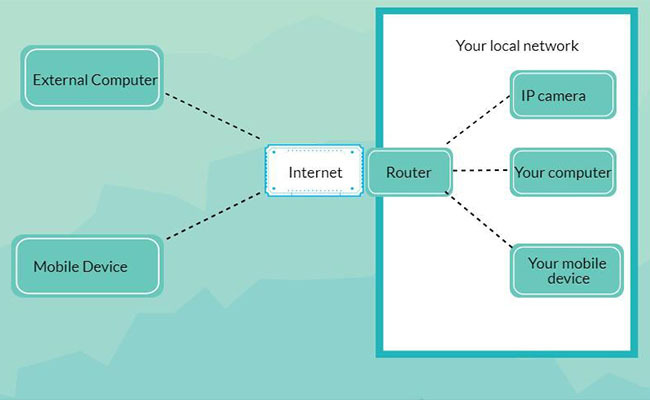 The only way to make your connection go through is to let your router know that you are friendly. This is done with port forwarding. Once you are on 3G, you don't have access to the internal ip address anymore. You can only access your public ip address, which is the one shown in the portal. So, assuming you setup port forwarding on your router, once you go into 3G, you need to use the ip address shown in the portal. So i need to find my phones ip address as assigned by router and do port firwarding for it too? Or do i only port forward the external ip? No. Port forwarding is only for your wifi attachment. It's meant to forward requests coming into port 2000 to your wifi attachment. You don't need the iphone ip address. When you go into 3G, you must use the external ip address shown in the portal on the browser or app in order to connect instead of your internal ip address. Your phone does not have access to internal ip address when on 3G. It's a public network and not your wifi network. Your wifi network is protected by your router.